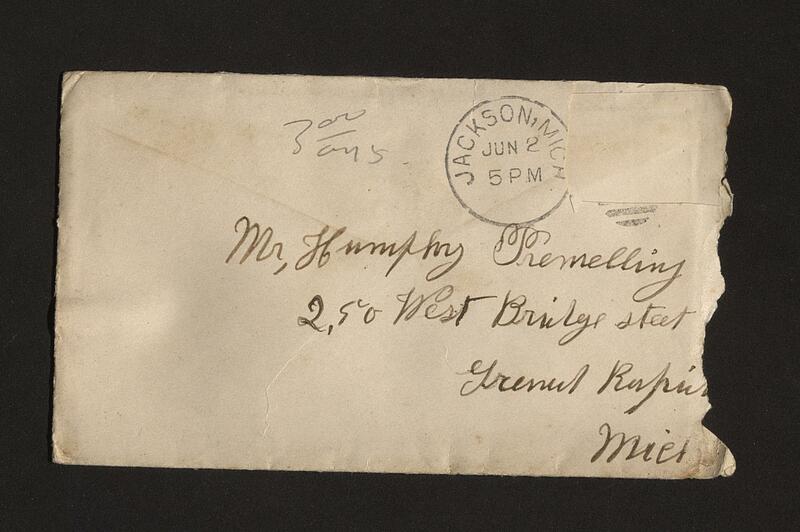 The Humphrey and Ida Tremelling letters (dated 1892-1941, bulk 1893; 0.06 cubic feet; 1 folder) comprise nine letters that document familial relationships, marriage, and employment in the late nineteenth century. 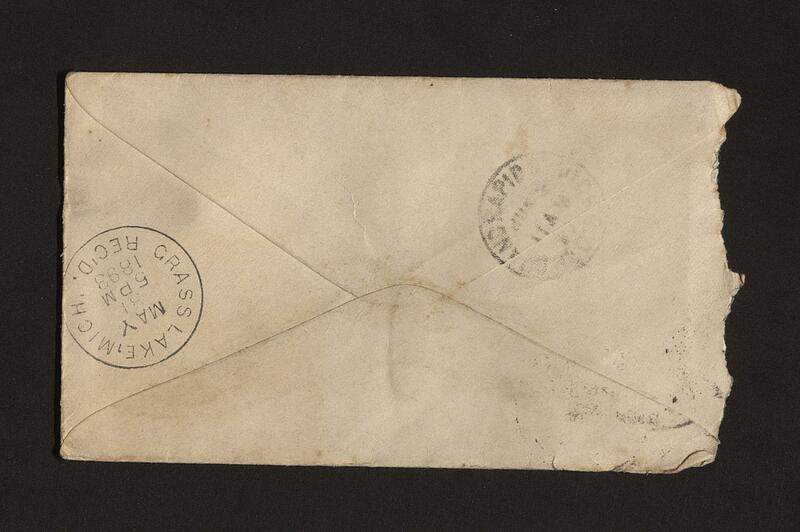 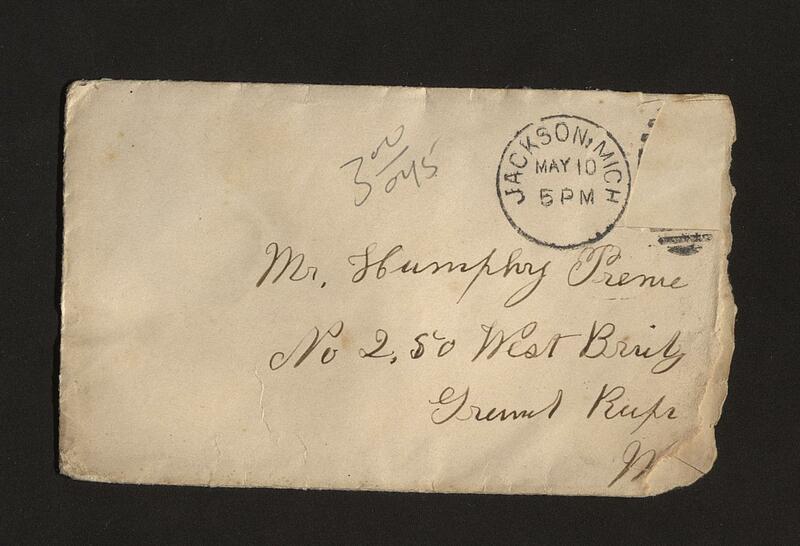 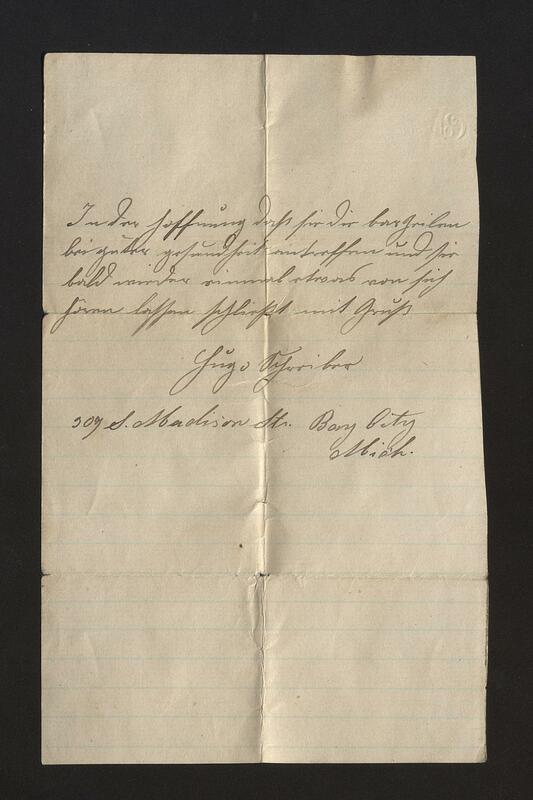 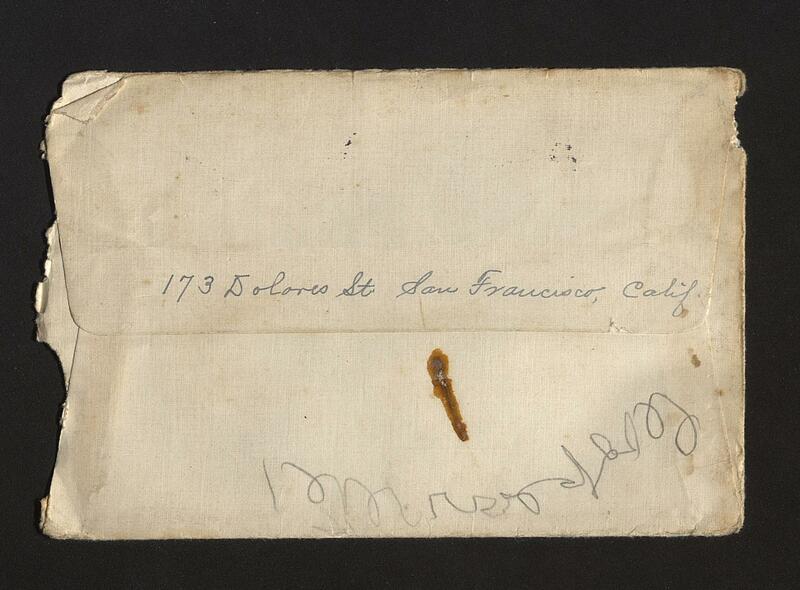 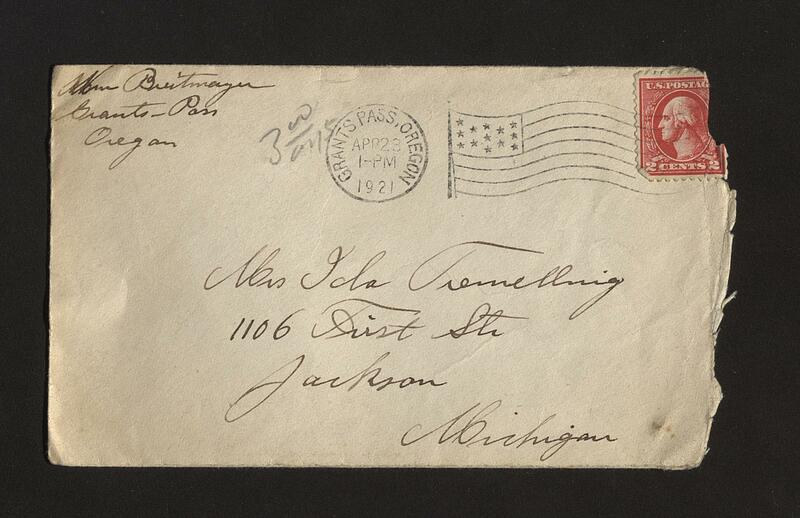 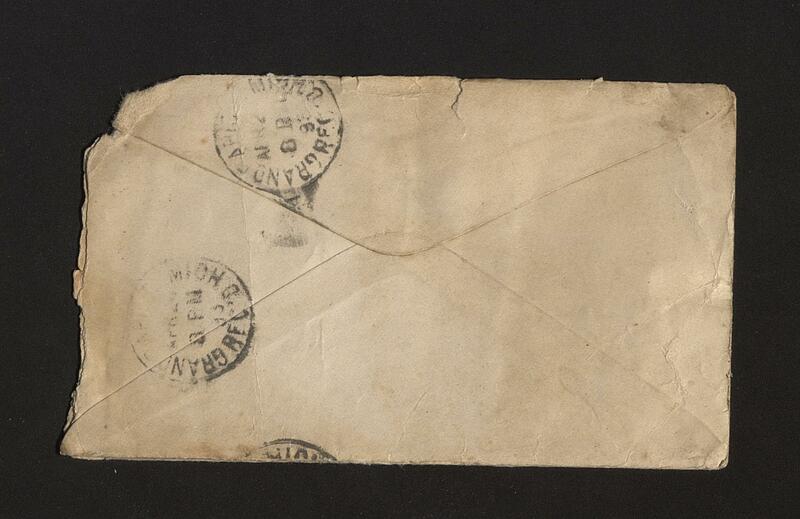 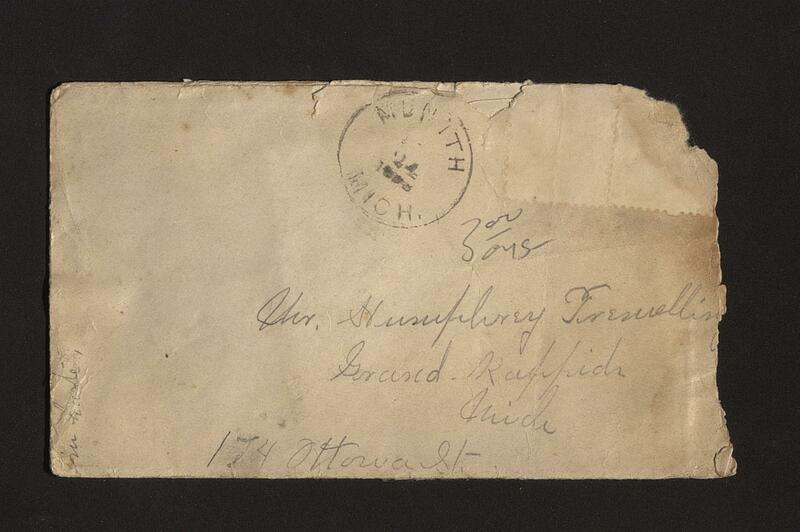 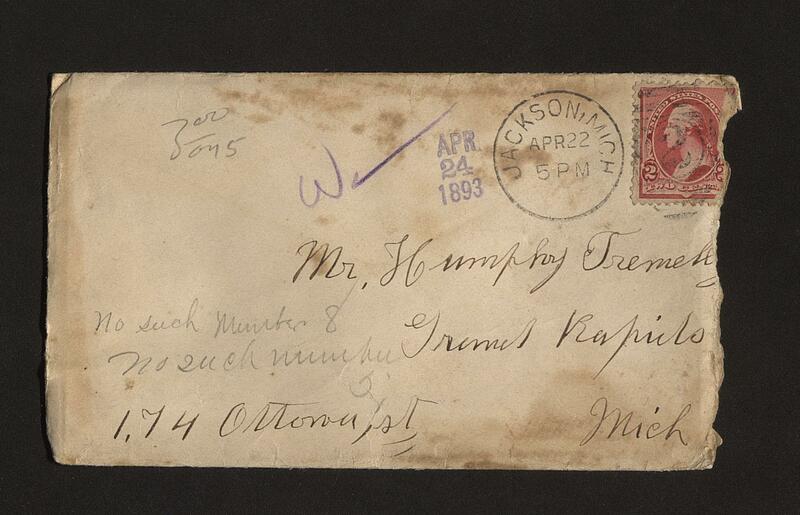 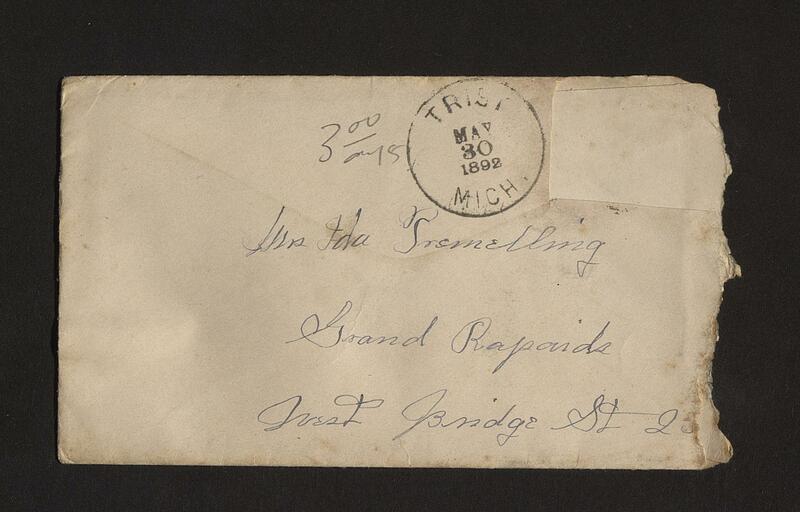 The Wade Hall Collection of American Letters has been processed into discrete collections based on provenance. 2009ms132.0098: [identification of item], Wade Hall Collection of American Letters: Humphrey and Ida Tremelling letters, 1892-1941, bulk 1893, University of Kentucky Special Collections Research Center. 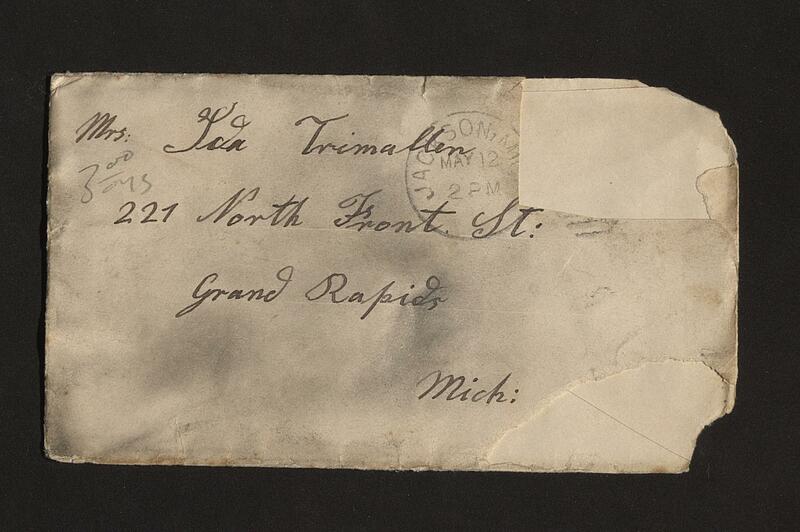 Humphrey Tremelling (1868-1945) and Ida (Breitmeyer) Tremelling (1870-1967), both natives of Jackson County, Michigan, married on May 1, 1893. 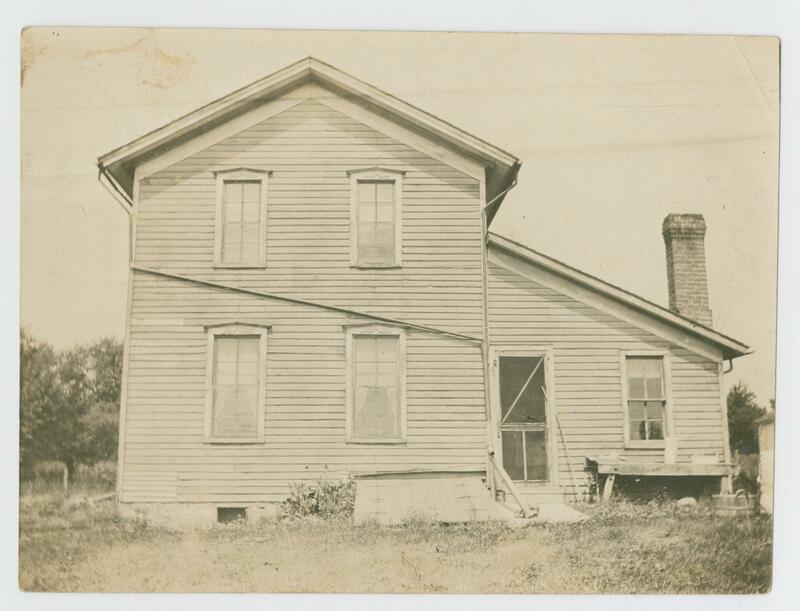 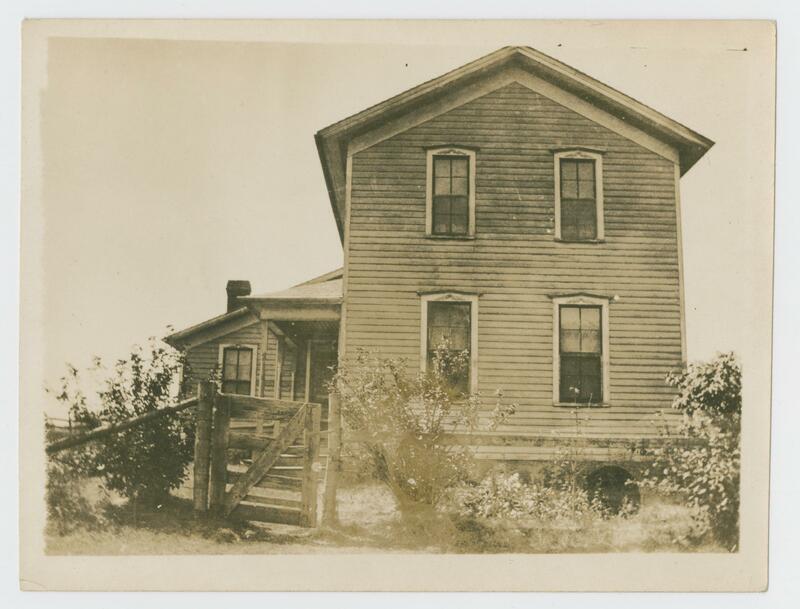 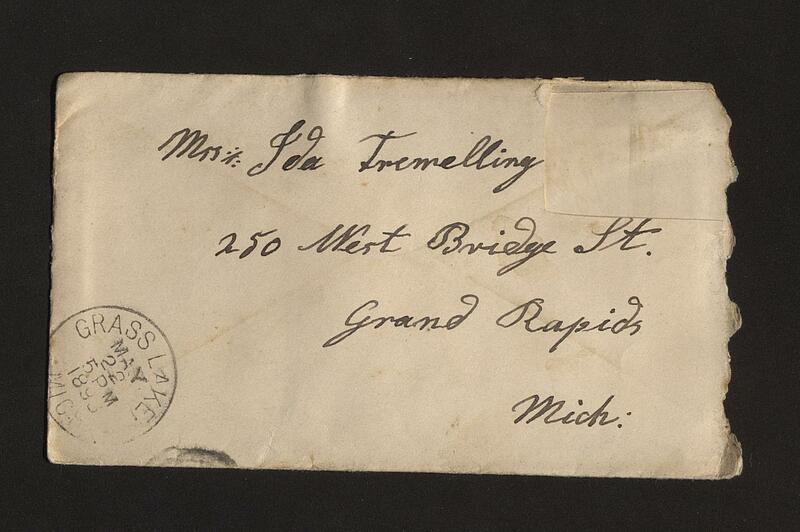 After their marriage, they settled in Grand Rapids, Michigan, later moving to Jackson, Michigan. 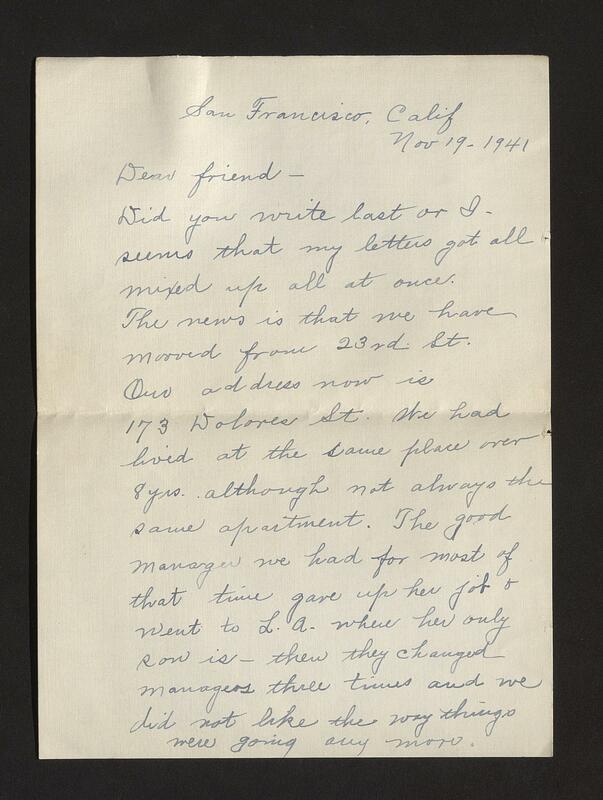 The Humphrey and Ida Tremelling letters (dated 1892-1941, bulk 1893; 0.06 cubic feet; 1 folder) comprise nine letters that document familial relationships, marriage, and employment in the late nineteenth century. 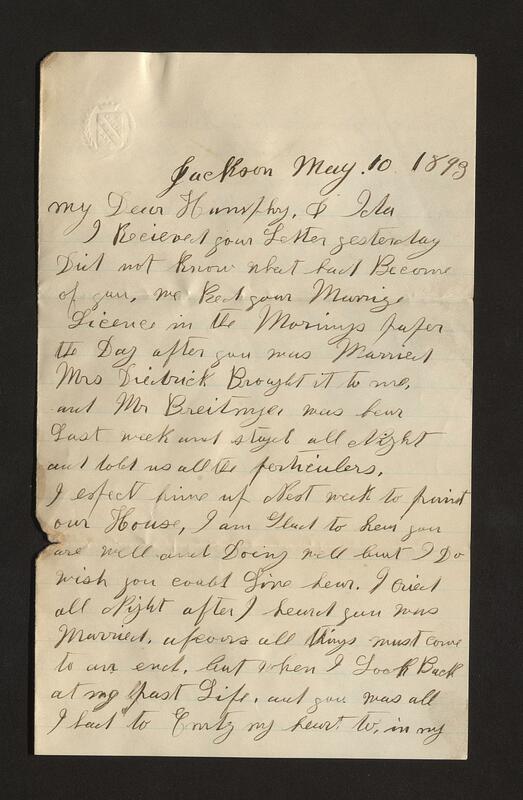 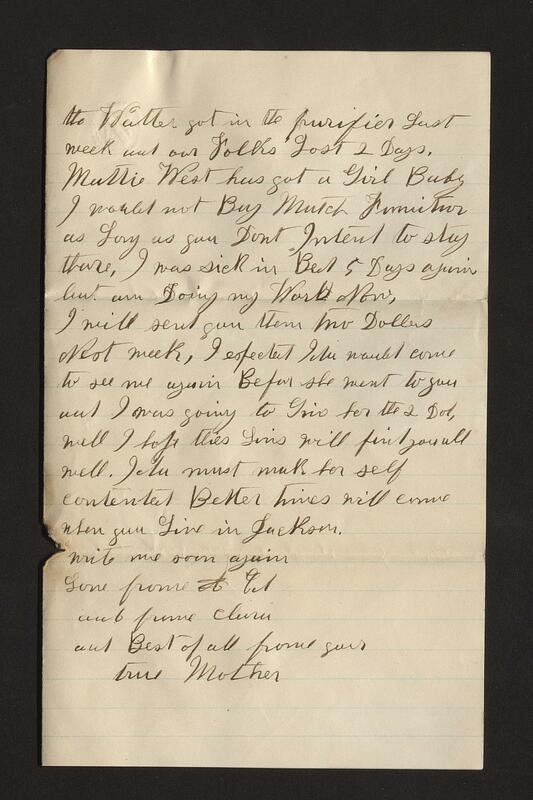 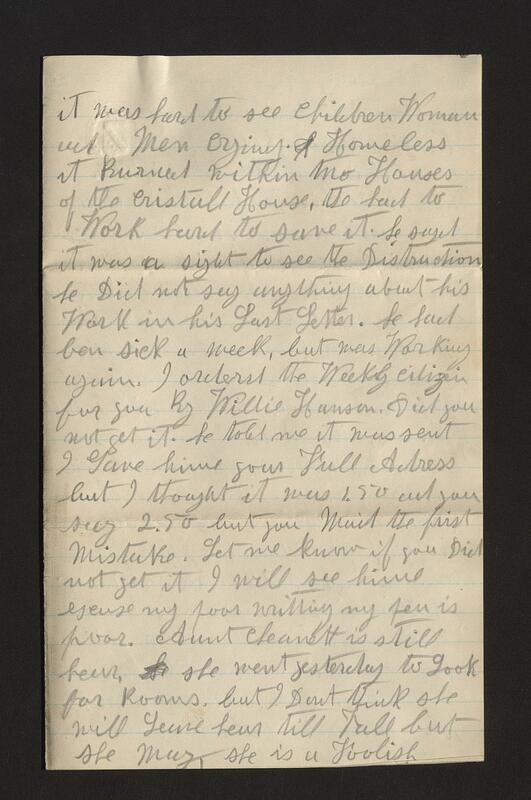 Most of the letters are from friends and family which discuss family news and illnesses; community news; opinions over Humphrey and Ida's marriage; and Humphrey's employment status. 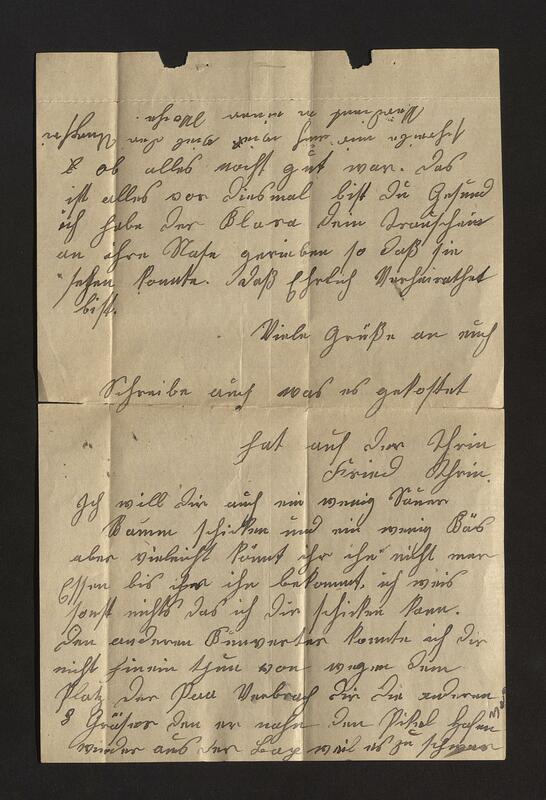 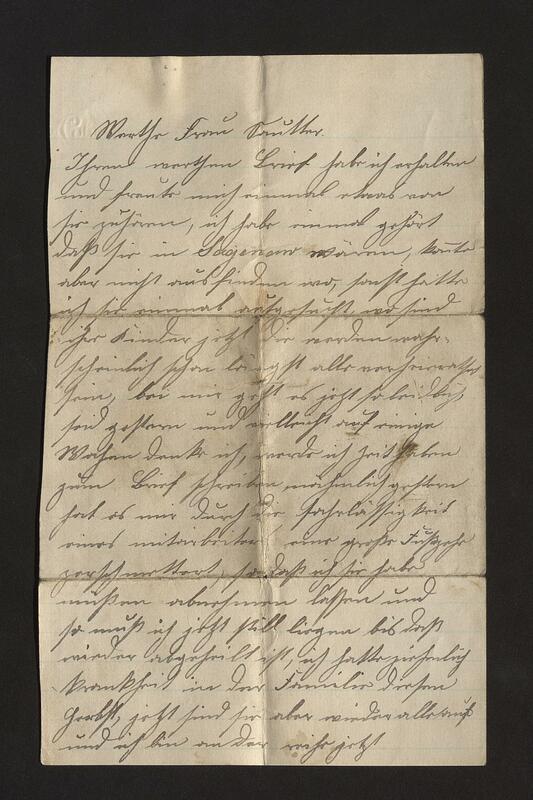 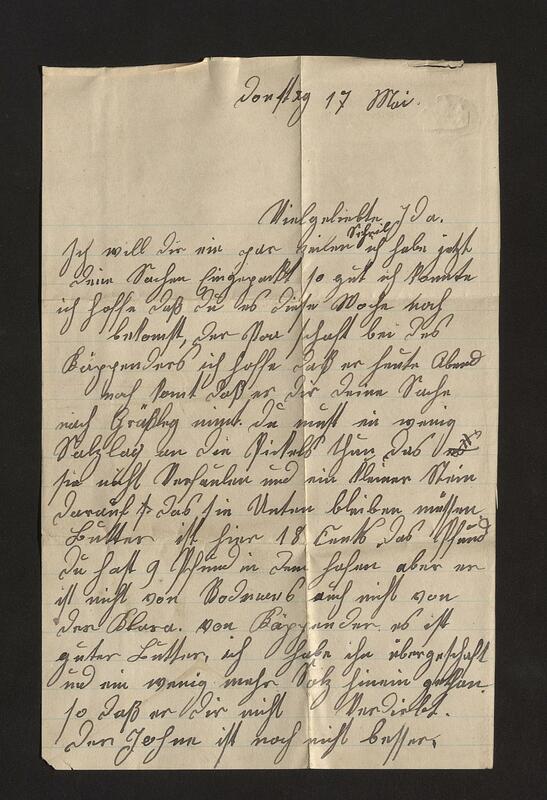 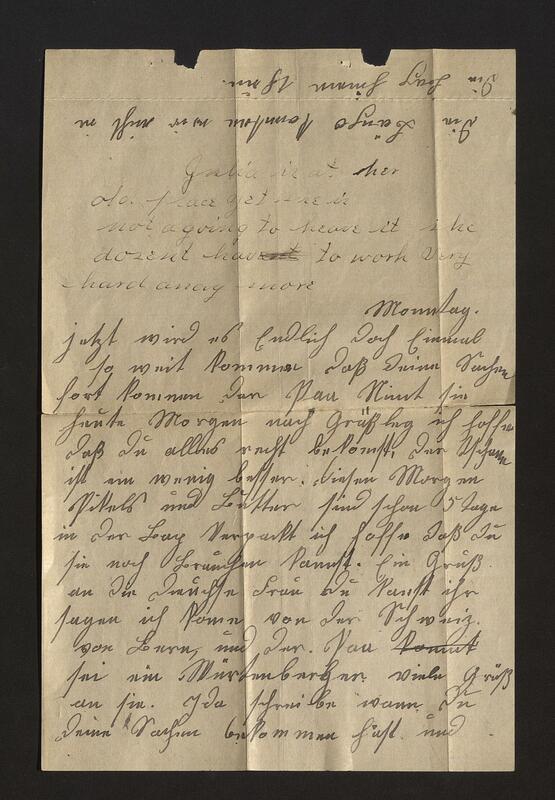 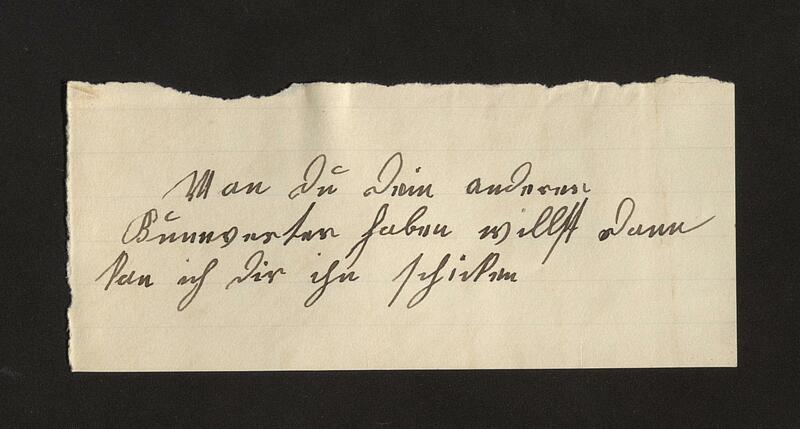 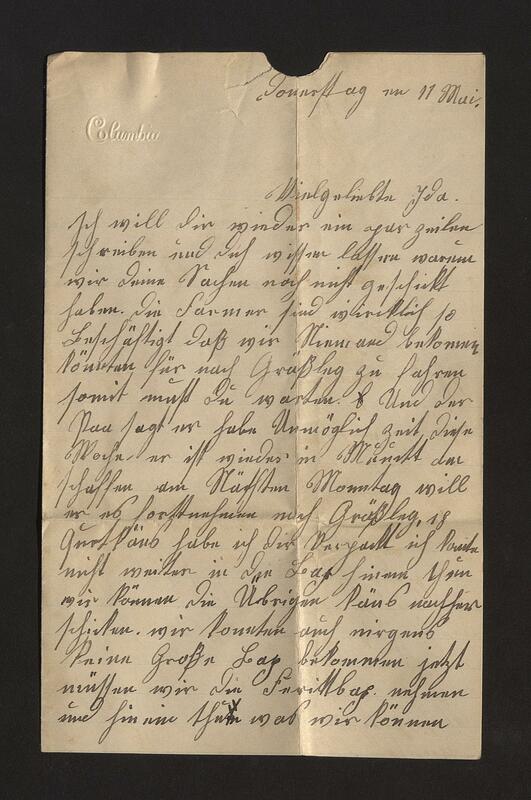 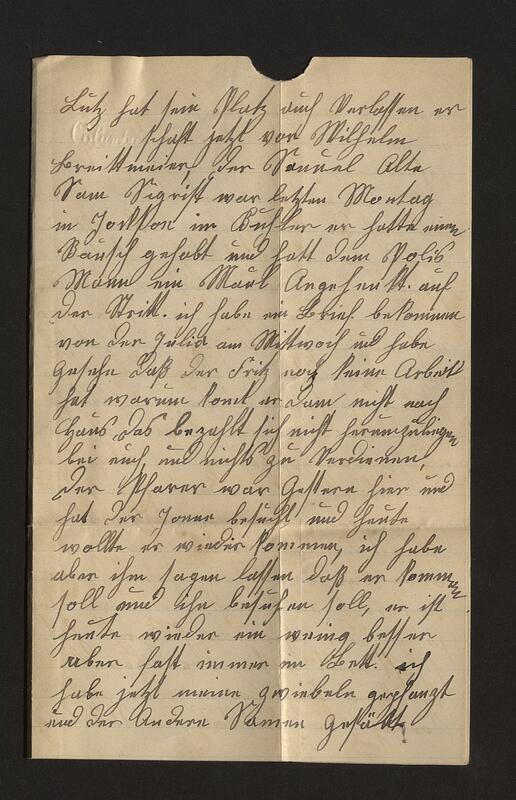 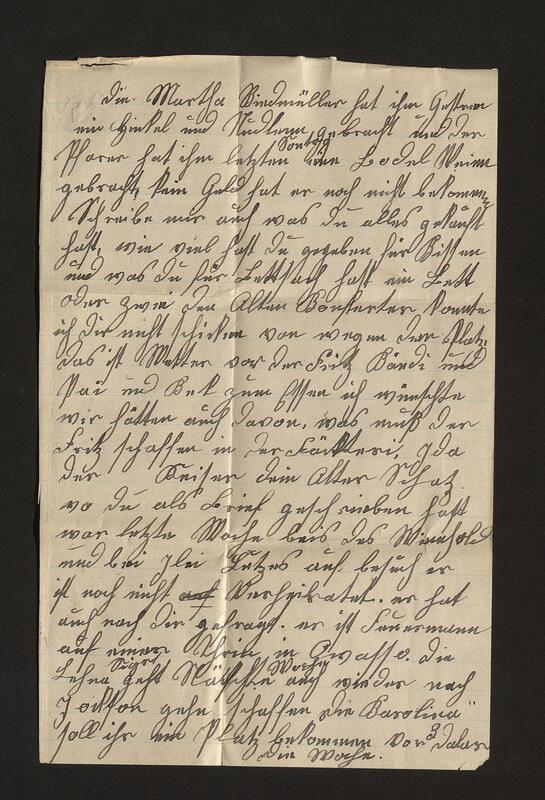 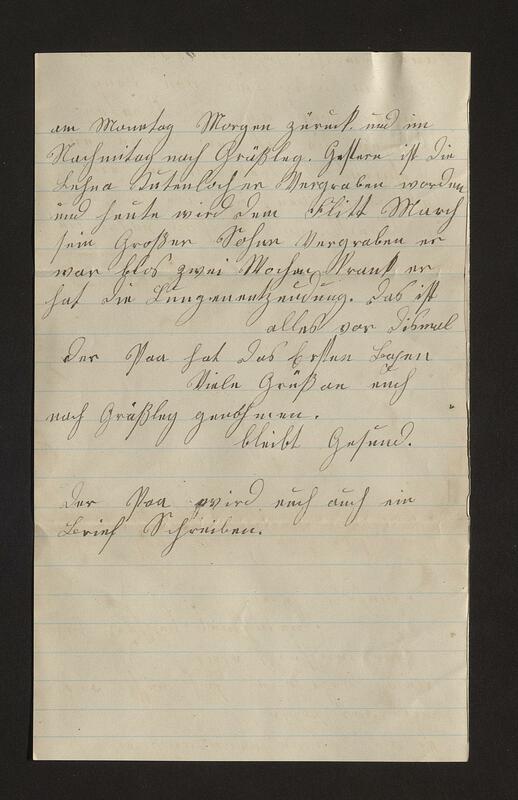 Ida's parents were of Swiss and German descent and so several of the letters addressed to Ida are written in German. 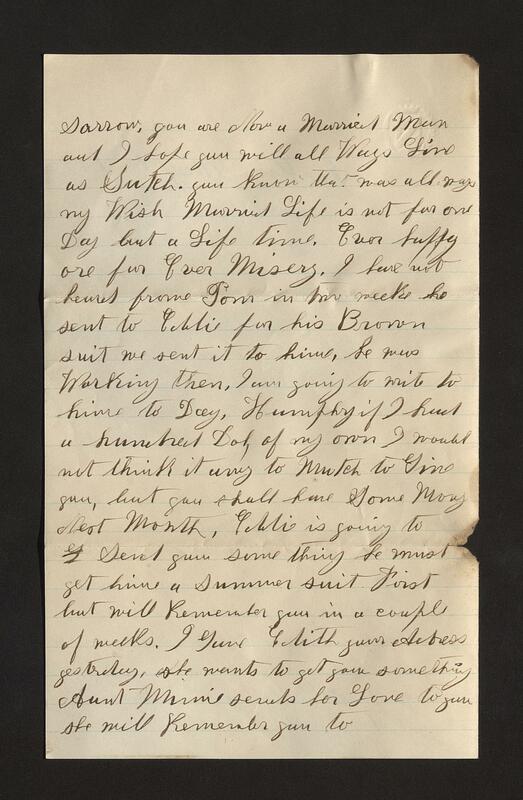 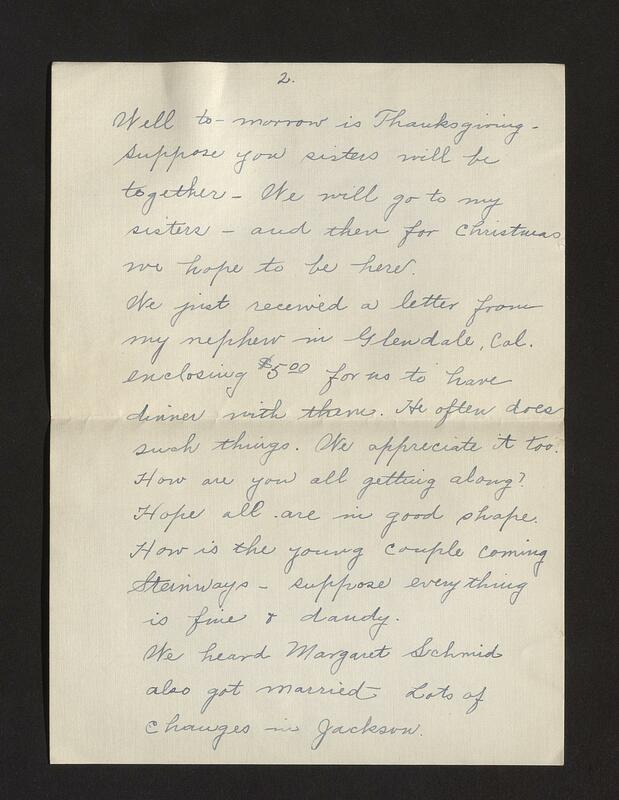 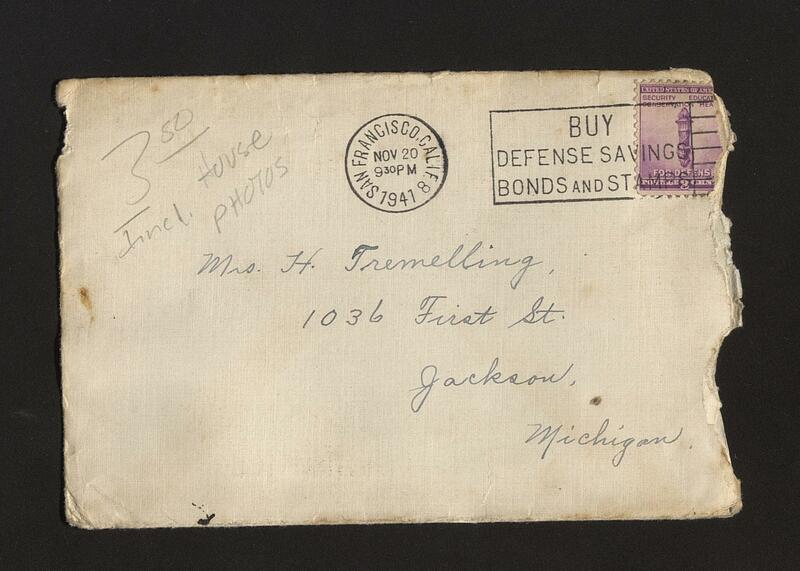 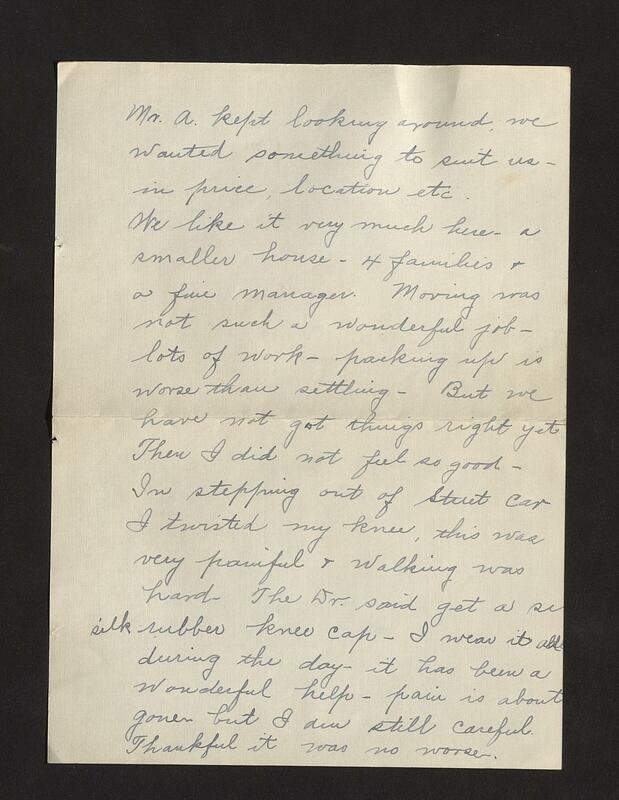 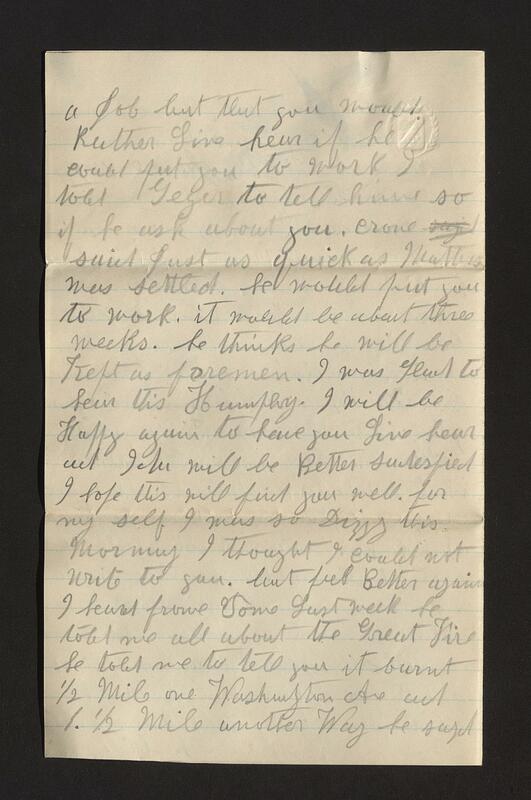 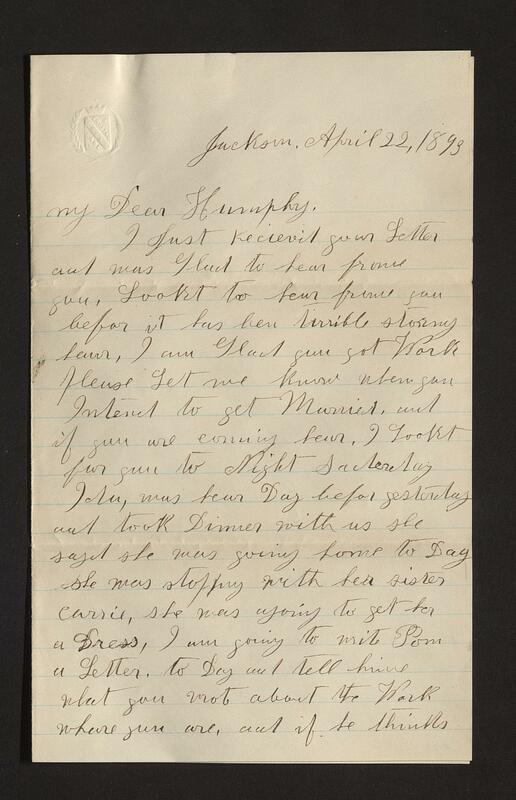 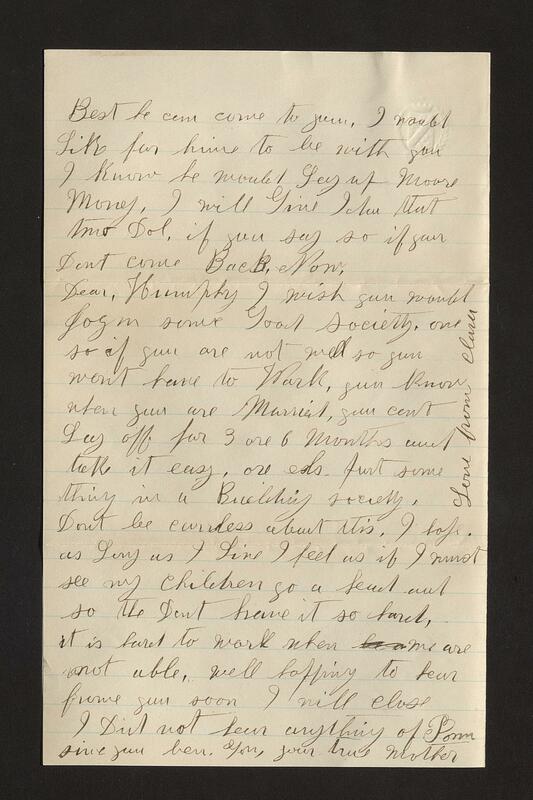 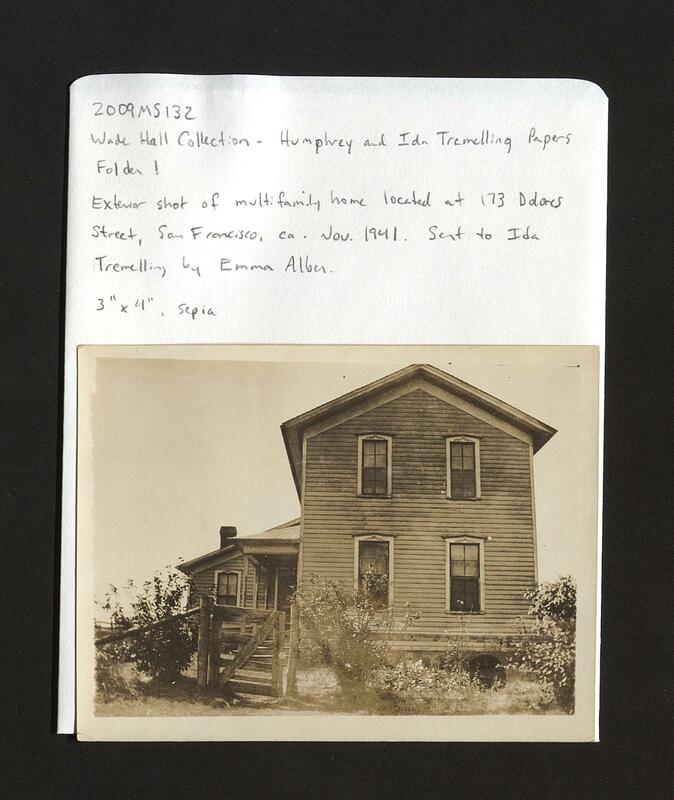 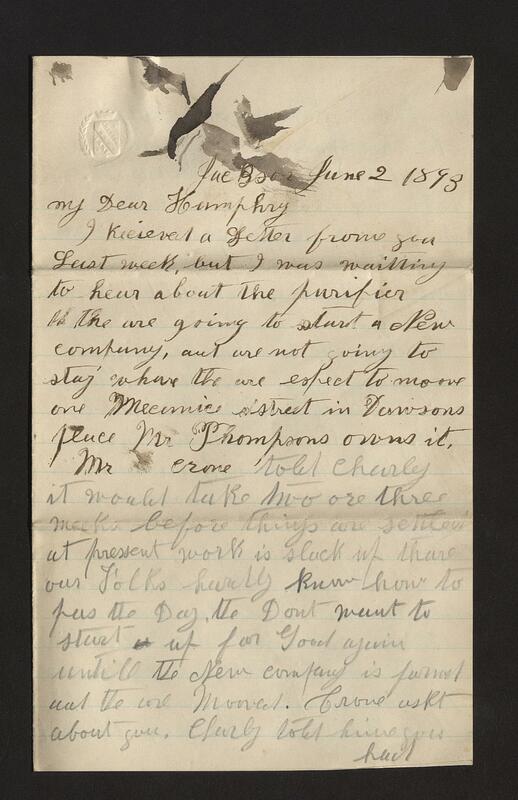 The Humphrey and Ida Tremelling letters are part of the Wade Hall Collection of American letters, which includes correspondence and diaries from all over North America covering the time period of the Civil to Korean Wars. 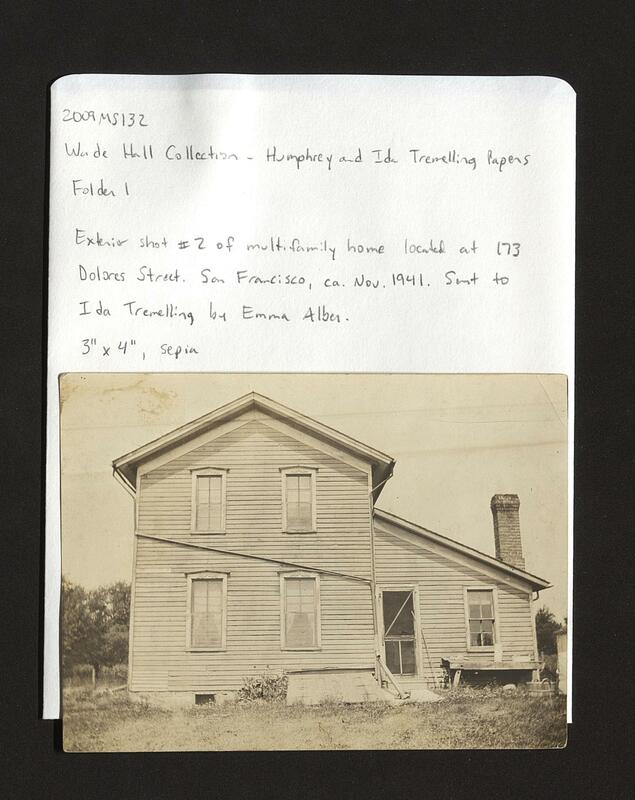 The materials were collected by Wade Hall and document everyday men and women.